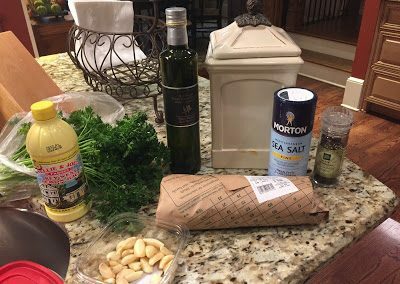 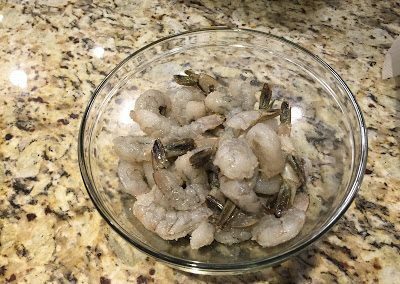 I’ve been fixing shrimp this way for years – not sure where this recipe came from, but it’s easy and is my “go-to” for a quick, easy shrimp dinner. 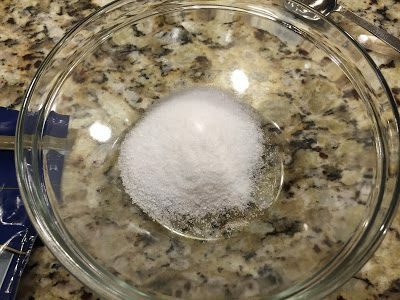 In a bowl, mix salt and sugar. 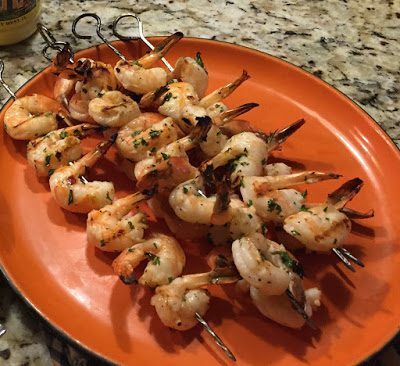 Cover and chill 45 minutes to 4 hours. 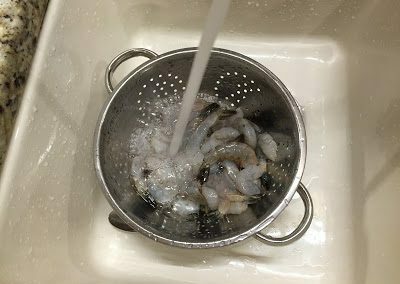 Rinse shrimp well and drain; also rinse and dry bowl. 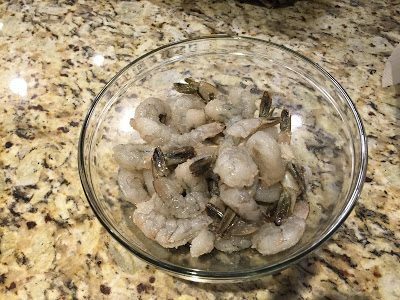 Return shrimp to bowl. 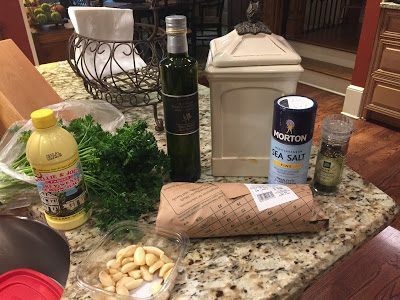 Add olive oil, parsley, lemon peel, garlic, and pepper. Mix to coat. 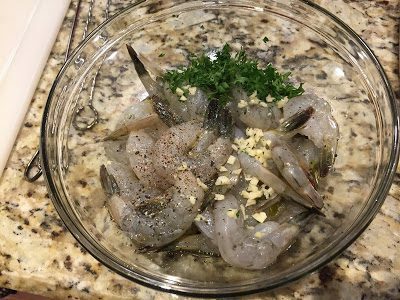 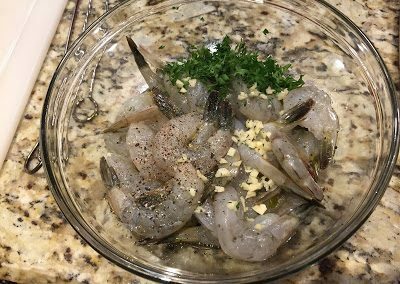 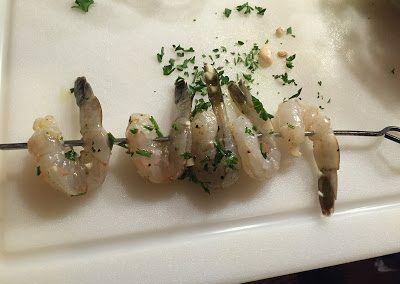 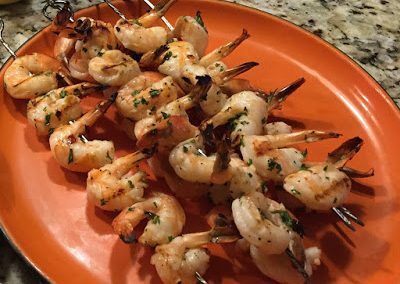 Thread shrimp on metal or soaked wooden skewers, running skewer through the body once near the tail and once near the head end of each shrimp so it looks like the letter C.
Lay shrimp skewers on an oiled barbecue grill over hot coals or high heat on a gas grill; close lid on gas grill. 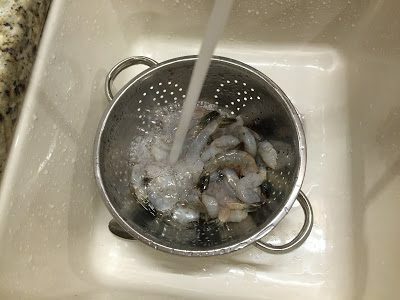 Cook, turning once, until shrimp are bright pink and opaque but still moist-looking in center of thickest part (cut to test), 5 to 6 minutes total. 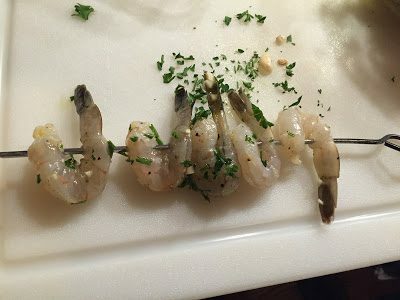 Serve with lemon wedges and cocktail sauce.